Berry White is a hybrid strain that is the offspring of parents of near-celebrity status in the cannabis world: Blueberry and White Widow. 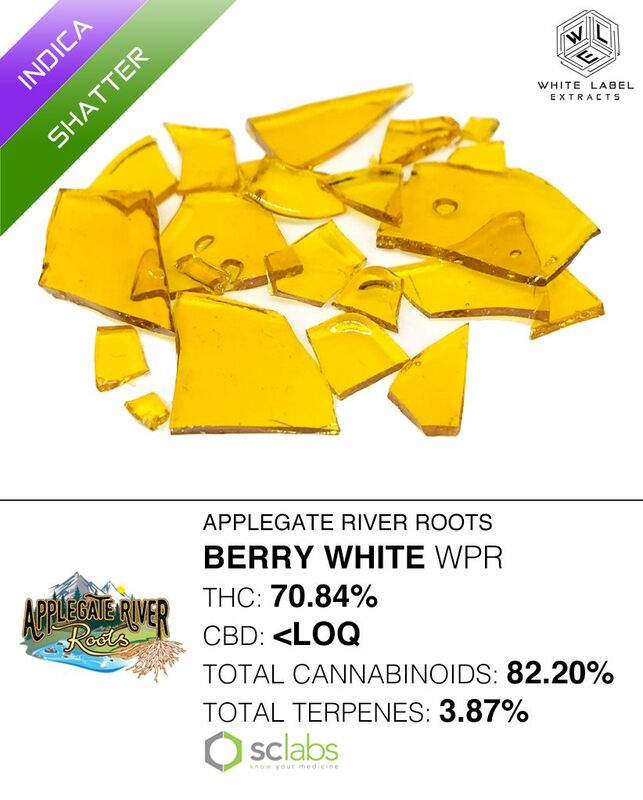 Berry White holds up to the reputation of its parents with an outstanding hybrid high. Generally this strain leans heavy on the blueberry side but this particular extract is heavy in Lemon and Orange fragrances with a hint of blueberry in the background. Expect the high to be powerful, uplifting and slightly energizing with a slight body kick. The strain has 3 other names that you'll see around and may have tried before: Blue Widow, Blue Venow and White Berry.